On the Taylors Pet Foods’ website, Michael Taylor describes himself as an ‘ex-tyre fitter who couldn’t get excited about dog food’. But wow have things changed! Today, given half a chance, Michael would spend all day talking about pet food and its ingredients. Taylors Pet Foods is located in the small market town of Attleborough, situated between Norwich and Thetford, in Norfolk. The Taylor family has a long history of serving the town and its pets – it all started in 1984 thanks to dad Anthony and mum Linda, with a small pet shop in the town and a market stall. Sons Michael and Richard were roped in and helped out in school holidays. Eventually business at the shop grew to such an extent that Anthony was able to stop the market stall to concentrate fully on the bricks and mortar shop. Taylors Pet Foods is now housed on a trading estate and occupies 2,400sq ft, with the big advantage of ample free parking. The turning point came when a Bern Pet Foods sales rep came to talk to them about the company’s Acana and Orijen foods. The sales rep, Tan Nagrecha, ranked a selection of the dog foods they were selling in order of meat content – it was like a light had been turned on and they were seeing things for the first time. “We always thought some of the really big grocery brands were questionable, “but then we started looking at the ingredients and realised how little meat was actually in them,” said Michael. Michael started reading and researching pet food and visited Piers Smart, at Scampers Pet Store, in Soham, Ely. “I’d spend hours researching,” he said, and he also started contacting manufacturers questioning them about their ingredients. For example, one product belonging to a major global pet food manufacturer lists an artificial preservative for the UK market but a natural preservative for the Canadian market. The letter he received from one of its nutritionists cited cost as the reason. Richard added: “It’s our only cold-pressed food; it’s popular with our customers and gives us a lot of repeat business. So many customers have had dogs and cats with health issues, and it’s all to do with what they’re eating. To help inform and educate its customers, the store now displays the All About Dog Food rating for each dog food on the shelf front. (All About Dog Food is an online advice site providing independent dog food reviews, feeding guides, ingredients glossary and stockist locator.) With cat food, they display the percentage of meat on the shelf front. 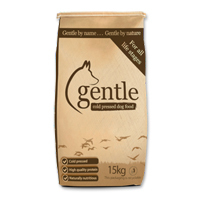 Having said that, the brothers say that increasing numbers of customers are more switched on when it comes to dog food, and a number do their research before coming into the shop to discuss what they have read to make sure they are on the right track. Especially as quite a bit of misinformation is found on the internet. It might help that shop cat Rosie (owned by sister Samantha, who also works in the store) comes into the shop every day and is the picture of health, being fed on raw and high-meat content food and treats. And Rosie is not at all bothered by customers’ dogs – living with three dogs, including shop dog Jess has definitely helped! Taylors Pet Foods offers a large own-brand range – its Premium dog food has a meat content of 26% but at a fraction of the cost against other brands so customers have a range of price points. It also offers Taylors Gold and Meaty Green, which have been in the family business for years and years. Michael said: “We still sell these to customers who have used the brand for years or because their parents used to buy it. They have a very loyal base.” So loyal that Richard orders a pallet of the Taylors Premium range every 10 days. About three years ago they launched Taylors Signature, a premium offering, and are currently working on a totally new own-brand called Lovel – treats in the Lovel livery are already available. Own-brand products are a good way of keeping customers as the food cannot be found on online sites or in other stores, although they note that the more observant customer might notice the packaging is similar to own-brand products in other independent retailers! Which was one reason why they decided to launch Lovel. Richard added: “If your dog has a problem, we have the solution. We have a list of products we can recommend, whether it is for weight management or for example kidney issues, where pets need a low phosphorus diet. But for medical issues, we do ask that customers check with their vets. Poultry is also a big seller, with many customers having chickens at home – they buy a tonne of poultry feed at a time, which also helps realise better margins. When they started reading the ingredients on small animal foods, they delisted all products that contained colourants. They sell a lot of hay and try to encourage rabbit owners to buy large hutches and runs – they asked a local supplier for two-metre runs for rabbits. What about the ecommerce site that was launched all those years ago? Michael said candidly: “I started the website and selling on eBay. I did not know any better and thought it was the right thing to do. We still sell a little bit on eBay and on our website, just a bit of food and cat litter, but we are winding it down. Basically we are just serving the online customers we have and are increasing the footfall into the store. “There is always someone who is cheaper on the internet, but when I looked at the price they are selling at, I asked how could they possibly do this? The answer is clear – they cannot. These are items that they are selling at a loss, so their strategy is to sell some items at a loss but to make money on others. Taylors Pet Foods is now also open on Sundays, due to customer demand, and Michael’s girlfriend comes in to help the family on weekends – the business employs three other staff members. Richard said: “All independents are in the same boat and we want to help each other out. So if we do not stock something, we recommend customers try one of the other pet shops around here. “For example, someone once wanted a fox trap – which we don’t sell – but I helped her and referred her to a country store.